Time for another video, this time to take a closer look at the animated chess set from Dutchie. The set includes a version where you sit on the floor and one where you sit at a table. It is the latter that is shown in the video and I talk a bit about how you may need to adjust the size of the table and chairs to work with the seated animations included in the chess set. 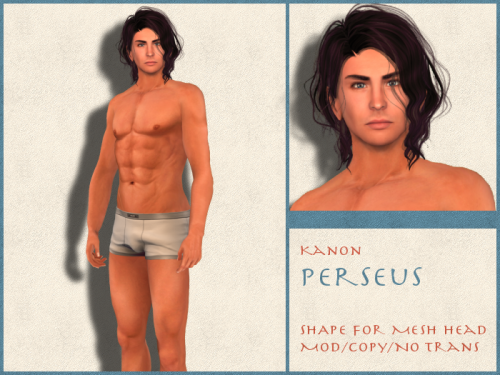 Also featured in the video are a pair of new outfits from Caverna Obscura, a matching pair of Grecian/Roman tunics. As warm as it continues to be here, a nice big pool would be fabulous. A beach would be even better. But that has to wait a few weeks so in the meantime I try to cool off in front of the computer as best as I can. Maybe I should hang out in my winter landscape instead? Not while wearing this outfit from Voluptas Virtualis, though, it is definitely made for somewhere warm and sunny. Last week, I was reached by the sad news that Nephilaine, the creator behind the Muses, had lost her RL husband. A fundraiser had been set up for her and their twin children, to help with the expenses that cannot be avoided in a situation like this. In the long term, however, it will undoubtedly be important for the Muses to reach as many customers as possible. With that in mind, I created a video showcasing the store, hoping to encourage some old and new customers to visit and do some shopping. As soon as I spotted the Imperial gacha by Enfant Terrible, I knew I had to play it a few times to get something together for Ran. He’s often too busy to be doing much shopping himself these days, but he’s happy to have things found for him and then get called for some photos. With my usual gacha luck, I didn’t get any rares or accessories, just several different colours of the main outfit, but it is quite nice on its own. I also picked up one of the laurels from the Marketplace and then set the scene with decor items from Libertine. 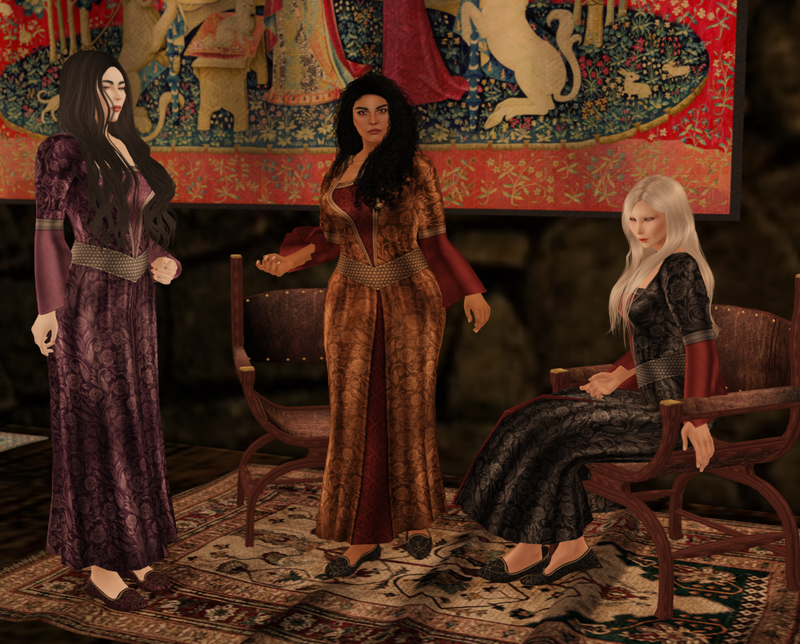 My own outfit is from the Dreaming Thicket and my hair is an upcoming release from Stealthic. Fallen Gods & Faida have another beautiful collaboration out at Romp and Fallen Gods also has a gorgeous tattoo to pair with it. I simply had to photo the combination, even though the dress (alas) is only fitted for Maitreya. Given this, I had to do a bit of image combining as the alpha cuts on my Slink Physique didn’t quite work with the plunging neckline. However, nothing about the look of the dress itself has been altered. I wasn’t very old when I got my first book on Greek mythology and for a while I could recite some rather long lists of deities and their familial connections. I don’t remember all of it any longer but the stories remain some of my favourites. In most English-speaking countries, the Roman names for various deities and heroes are more commonly used than the Greek ones, but I always preferred the latter and you will occasionally hear me muttering “it is Herakles, not Hercules, dammit”. This gacha outfit from deviousMind, however, is gorgeous even though it is called Diana rather than Artemis. ;) Fact is that while the Romans did end up borrowing a lot of Greek deities and heroes, their own pantheon was quite different before many of the main gods and goddesses ended up merging with their closest Greek counterparts. So it might be more appropriate to refer to Diana and Artemis as “sisters” rather than exactly the same goddess.